Home › Adversity › The Great Freeze of 2015: Will there be more babies this holiday season? The Great Freeze of 2015: Will there be more babies this holiday season? In the evening of November 9, 1965, over 30 million people were left without electricity for up to 13 hours. It covered a huge swath of land – over 80,000 square miles – including much of New York, New Jersey, New England, and parts of Ontario in Canada. 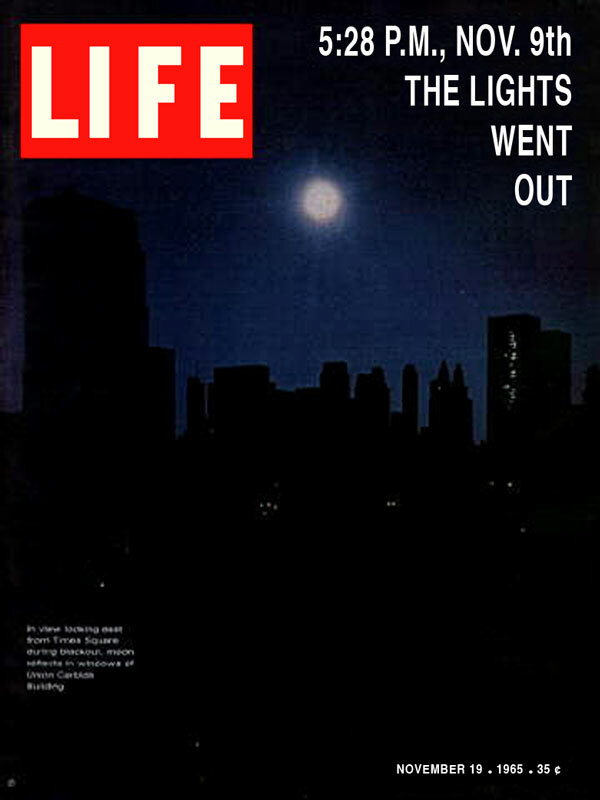 “The Great Blackout of 1965” became the subject of legend and story-telling. There was the 1968 Doris Day-Robert Morse movie, Where Were You When the Lights Went Out?, and a Tom Paxton song by the same name. The blackout made its way into prime time TV episodes of Batman, All in the Family, and Green Acres. While reports of a spike in the birthrate nine months later were ultimately debunked, the bright, full moon on that 1965 evening may have indeed inspired people to more romantic pursuits: there were only five reports of looting in New York City that evening, the fewest ever recorded by the NYPD. There are those who try to understand, or find meaning, in unusual and adverse events like this. Just prior to the blackout, three Syracuse residents reported seeing UFOs moving in the direction of the source of the power outage. So, some 50-years later, have Long Islanders advanced in their resilience to cope with adversity? In the wake of this winter’s brutal weather, I spoke with friends and family, and solicited comments on Facebook, asking people what they have done to cope. A lot of men I spoke with have been working out more in the gym, with the sauna and whirlpool places where many sought refuge to rid the chill from their bones. So, you may not have been inspired this winter to write a song, produce a movie, or expand your family. But at a minimum, your house is more likely to be cleaner, and you’ll be better able to handle a sweltering summer.